If you are going to war against the Chaos King, a dude who has an army of enslaved gods at his dosposal, you are going to need the help of all the heavy-hitters you can get. 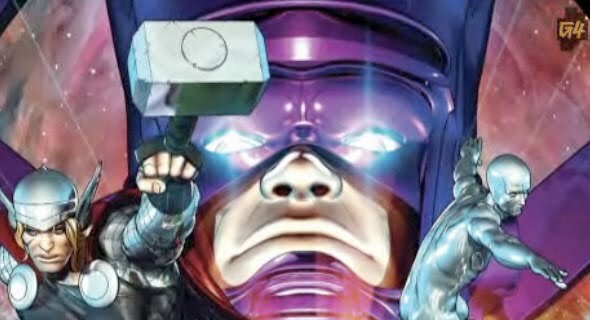 That's why in Marvel's upcoming Chaos War 5 issue mini, a reinvigorted Hercules partners up with the likes of Sersi, Thor, Silver Surfer and Galactus to get the job done. Yip the 'Prince of Power' side by side with the 'Devourer of Worlds'. Launching this October, Hercules isn't the only one assembling his own strike force. 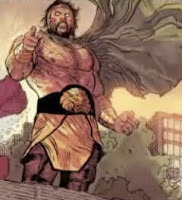 GTV'S Fresh Ink (vid below) tells the former Incredible Hercules team of Greg Pak, Fred Van Lente and Khoi Pham will also have the Hulk assembling the surviving members of his family to step up to the plate. Hulk, Hercules, Galactus and Silver Surfer? Now that's a fantastic four!